Can rot if the hairy leaves get wet. Always water into the saucer the pot is sitting in. 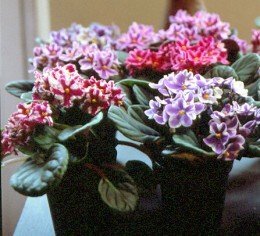 African Violets were the UK's favourite houseplant from the time the F&PA started its consumer surveys until 2001 (when they were deposed by peace lilies and orchids).